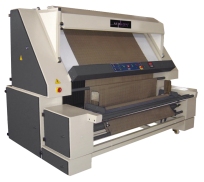 Fabric inspection machines are used to inspect fabric materials in order to find manufacturing defects(weave), mechanical defects (holes) and dirty spots. 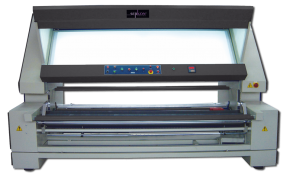 For convenience of operator inspection machines have an illuminated panel, under the material. This machines rewinds and measures fabric in order to verify declared by the manufacturer length of roll oraz precisely mark distances between defects on the inspected roll of fabric. Yet another very important feature of the inspection machine is to ensure even tension of rewinded fabric. This is a very important condition for spreading and cutting operations in future. 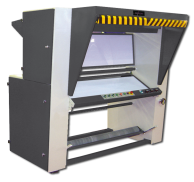 Fabric inspection machines are used by manufacturers, where high quality of manufactured products forces additional quality check before materials are sent for spreading and cutting. ES-1 inspection machine dedicated for rewinding and length measurement of knitwear, equipped with an automatic tension control system during rewinding what allows to work with difficult types of fabrics. 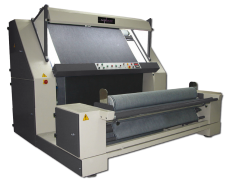 Fabric inspection machine dedicated for length measurements of tubular fabrics. Most useful in production companies where high quality of the finished product enforces additional quality control of fabrics before cutting. Inspection machine for rewinding and quality control of fabrics, also with small admixture of Lycra. 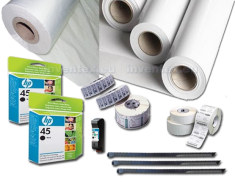 Most useful in production companies where high quality of the finished product enforces additional quality control of fabrics before cutting. 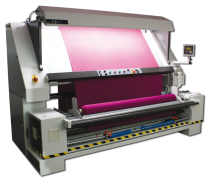 EK-1 inspection machine allows rewinding, reviewing and measuring of knitwear and fabrics with addition of elastic fibers. 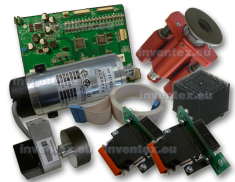 Automatic – by means of the photocell – or manual edge control. Easy and ergonomic usage. 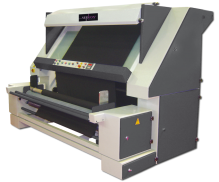 EH-1 inspection machine allows for rewinding, reviewing and length measurement of elastic fabrics, e.g. knitwear or fabrics with an addition of Lycra. 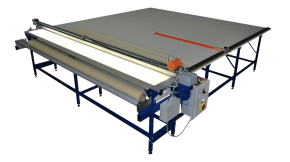 Allows rewinding from roll to roll and from flat-folded to roll. 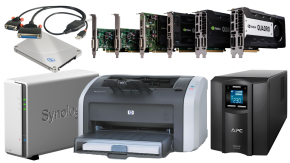 Optionally available with barcode and weighting system. 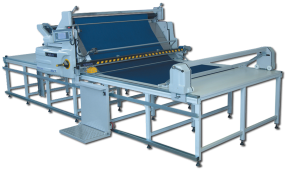 Inspection machine allows rewinding and control accompanied by length measurement of various materials, both woven and knitwear with max width of 180cm. Working modes: rewinding from roll to roll or from flat-folded to roll. 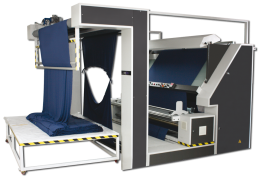 DK-3 Inspection machine allows for rewinding, reviewing and length measurement of heavy fabrics. Two modes of operation: from roll to roll and from flat-folded to roll.